Such success can be seen through Henry Ford's choice to increase employee wages when consumer demand was decreasing. Ford called it the best decision he ever made as productivity soared and Ford Motor Co. doubled its profits. However, Kodak's hesitation to introduce their digital camera technology due to their strong film sales didn’t produce such stellar results. When Kodak finally got in the digital game, they were selling their cameras at a loss. Today, the data-driven decision-making (DDDM) process is becoming an essential tool in empowering executives to make smarter and more positively impactful decisions than ever before. DDDM is about leveraging insights gathered from your data and data analyses to drive your decision in the right direction. The ubiquity of big data and the affordability of strong data analytics and business intelligence technology has made this type of decision-making process available to businesses of any size. Much of the drive for an increased reliance on data comes from the massive competitive advantage that being data-driven creates. This was initially demonstrated by the biggest tech companies and then quickly adopted by the giants of every industry. Target initially focused on predicting customer pregnancy amongst its shoppers to send them more targeted coupons. While this story broke when they sent these offers to a pregnant teenager, Target continues to harness their database to send its customers relevant product advertisements. The use of data allows companies to act fast and accurately to meet consumer demand and stay ahead of competitors. Savings: The most significant benefit that companies see when they use big data to guide their decisions is cost-cutting. The Harvard Business Review released a study of the Fortune 1000 that found that nearly 50% of these businesses have started using big data and 80% of executives classifying this as a successful strategy for their business. Greater confidence: Making changes to the service or product line is one of the more costly decisions a business can make. Significant portions of an annual budget can be spent on research and development, product or service testing, and its launch. Data-driven decision making can prevent companies from wasting money on products or services that consumers do not want or are not willing to spend money on. It can also point executives toward market opportunities that they may have otherwise missed. Forbes recently highlighted the fact that about a third of business leaders surveyed have stated that the use of big data has transformed their R&D practices. A culture shift: Company culture is not generally amenable to change. However, because every industry is disrupted by technology and innovation, organizations need to encourage the workforce to embrace change. This is where data-driven decision making comes in. When employees see the facts and figures that data offers, they will better understand why certain business systems and processes will benefit from change. This understanding leads to a greater acceptance of potential changes, which then leads to more success when changes occur. About 60% of executives know they will become obsolete if they do not get their organization on board with big data. A promising future: Relying on data for business strategy guarantees increased agility. Companies can use it to become more nimble against their competition. Data analytics can inform them in real-time about changes in public sentiment, disruptions in the industry, issues with production, and so much more. These business insights allow organizations to pivot and right the ship either before any damage is incurred or in a way that puts them a step ahead of their competitors. In other words, it significantly increases not only business survival rate, but also a company's ability to thrive. McKinsey recently found that when retailers harness the power of big data analytics, their operating margins see an optimization of roughly 60%. It's one thing to know what the data-driven decision-making process is and the benefits that it can offer, it's another thing to implement it. With so many companies adopting a data-driven decision-making approach, experts in data analytics and business insights have been able to uncover what works and what doesn't, the best practices, and smart strategies for the process' implementation. A business that has automated processes surrounding data collection, data analysis, and its incorporation into systems and processes. A data-driven culture that expects to utilize and harness data in all of their processes. While this is what a data-driven organization looks like, it is not necessarily a checklist for achieving the data-driven decision-making process. Companies need to take foundational steps in order for these characteristics to become fully integrated across their entire organization. The concept of a data-driven organization is straightforward. However, it can be difficult for businesses in different sectors to identify what this type of decision making would look like in action. Large businesses: Enterprise-level businesses have a significant amount of data at their fingertips. They can regularly collect and analyze data about the workforce and their customers, as well as pay for other data sources. However, these businesses can be hindered by legacy systems that don’t integrate well, and a stagnant culture. Key steps toward making data-driven decisions rely on pockets of innovation that are championed by executives to inspire other teams to follow suit. Small and medium businesses: SMBs are facing a constant struggle to keep up with their larger competitors in a fast-paced market. The most effective way for them to use data is by capitalizing on their advantages. First, they can more easily make adjustments towards a data-driven company culture. Second, this workforce agility can build a more robust data storage and infrastructure system in order to collect data accurately that can then be mined and analyzed for insights. Small businesses should be mindful of the initial investment in their data and ensure that their staff is data literate to capitalize on that information. Healthcare: Hospitals everywhere struggle with patient care. If something goes wrong, the hospital or its staff is often held liable. To avoid this, hospitals can collect comprehensive data on every patient interaction and course of treatment. They can then use this data to pinpoint causes of lawsuits or litigation and work towards eliminating them. Manufacturing: One of the biggest complexities manufacturers face is their supply chain. With materials coming in from and finished products being shipped out to a number of entities, it can be a difficult business system to navigate. Collecting and analyzing data on inventory, shipping logistics, and supply chain activity can help manufacturers to plan for any number of events. Higher Education: Academic competition amongst higher education institutions is fierce. Colleges and universities are constantly trying to find ways to increase their spot in the rankings. By collecting data on a wide variety of factors, educational institutions can narrow down what impacts student performance the most and work towards improving conditions. The pathway to becoming a data-driven organization is not an easy one, but it can be done with time, consistency, and leadership. The following steps will help you develop a roadmap for data-driven decision making in your field. 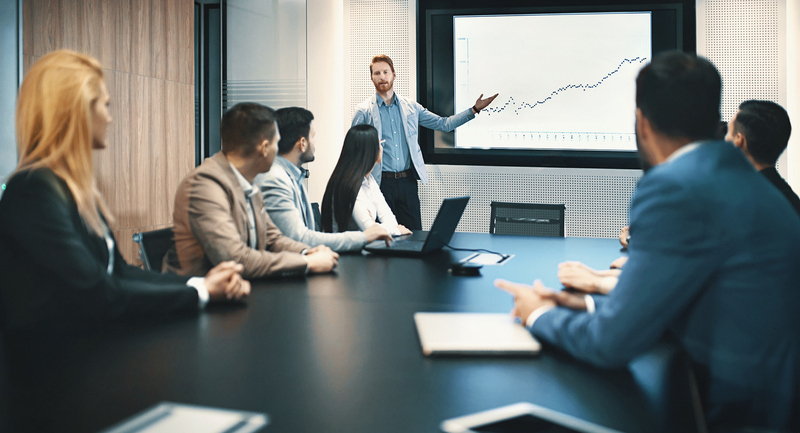 You need to identify a data champion within the organization, who critical to understands the value of data-driven decision making and is willing to dedicate time and effort toward getting the workforce on board. Typically, this champion is an c-suite executive who has budget allocation and authority to implement change. This data champion should identify key groups within the organization who are leveraging their data effectively or identify particular project successes that hinged on data analysis. Then, highlight these projects and teams internally, through webinars, newsletters, and other means. These types of successes are crucial to getting buy-in from leadership and developing a mind shift amongst the staff. Once there is more interest in becoming data-driven and leveraging big data, the company should offer internal trainings to train up existing staff on these data techniques. By offering continuous trainings across teams, your workforce will develop a common data vocabulary and feel empowered to explore more data on their own. Additional ways to speed up adoption include developing a community of practice, scheduling monthly lunch-and-learns from data experts or data colleagues, and highlighting successes frequently. While you may feel an urgency to adopt a data-driven decision-making process, there is no overnight fix. Don’t take shortcuts or provide inconsistent support - remember, if you fail to plan, you plan to fail. Executives should work towards a holistic plan that builds up data usage and knowledge over time in order to get the highest returns on investment. Instinct. Intuition. Experience. Data. 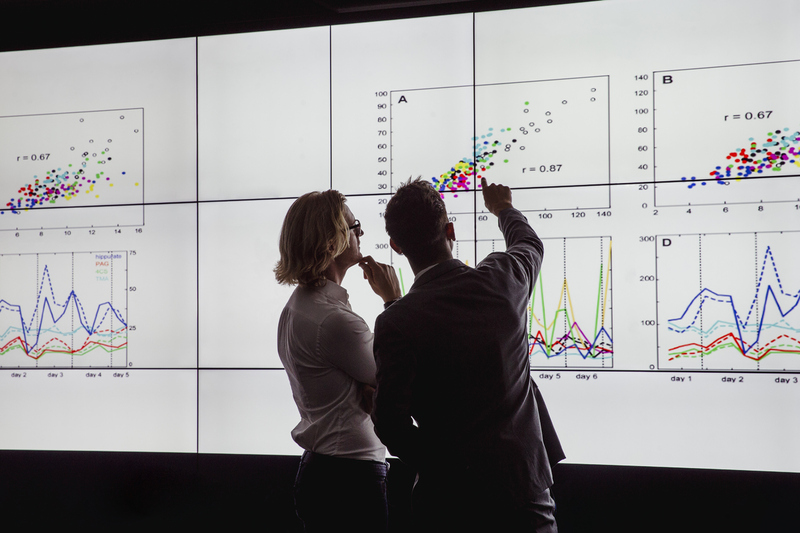 Those are the four ingredients you need to make data-driven decisions and drive your company forward into the data revolution.